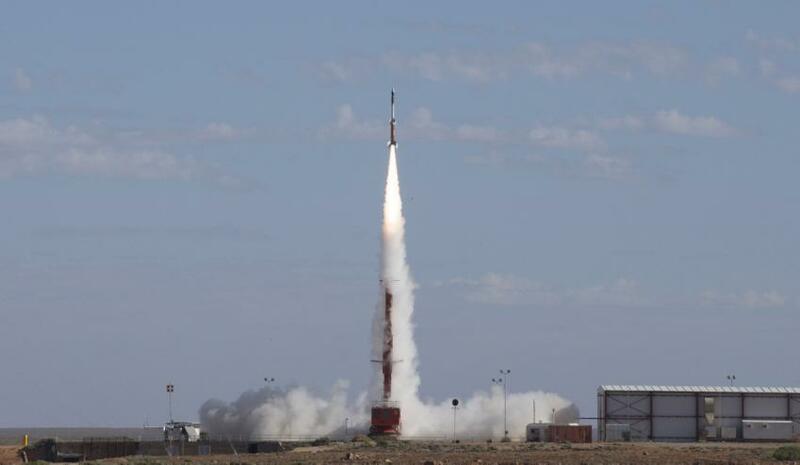 HIFiRE 5b rocket launches successfully at the Woomera Test Range in South Australia on May 18, 2016. Image via Commonwealth of Australia, Department of Defence. South Australia’s University of Adelaide will celebrate the 50th anniversary of the launch of Australia’s first satellite today. WRESAT, named after the former Weapons Research Establishment (WRE), was launched from Woomera, South Australia on 29 November 1967. At the time, Australia was the third country to launch its own satellite from its own territory. The satellite project was a joint venture between the University of Adelaide’s physics department and the Weapons Research Establishment (a forerunner of the Defence Science and Technology Group). "This was an incredible feat,” said Professor Mike Brooks, interim vice-chancellor at the University of Adelaide. "They were using a modified Redstone rocket donated by the Americans and only had an 11-month window available to plan, design, build and test before launch. Its launch was seen as a huge success for Australia." The WRESAT project was led by Bryan Rofe from the WRE and Professor John Henry Carver, who was elder professor and head of physics at the university. Professor Brooks said the university is hoping to grow on its strong history in the Australian space sector as the industry grows under the new national space agency, recently announced by the federal government. "Today, the university stands ready to contribute to what we believe will be a rapidly developing space industry in Australia, under its new national space agency," said Professor Brooks. "We are very proud to have educated former NASA astronaut Dr Andy Thomas AO, and we continue to produce highly talented graduates in aerospace and other engineering, as well as generating leading-edge research in areas from aeronautics and high-pressure combustion, through to new developments in space surveillance and space law." Earlier this year, a University of Adelaide-built satellite was launched by NASA from Cape Canaveral in Florida – one of three miniaturised ‘cubesats’ developed in Australia and the first Australian-built satellites launched in 15 years. That work, led by University of Adelaide research fellow Dr Matthew Tetlow and his company Inovor Technologies, now based in the university’s new venture incubator ThincLab Adelaide, has led to new research and development in space surveillance. Working with associate professor Tat-Jun Chin from the university’s School of Computer Science, Dr Tetlow and colleagues are developing space situational awareness technologies to help detect and track space objects to support space traffic management. New, low-cost cubesats are again being proposed for this novel object detection technology. “WRESAT weighed 45 kilograms and was almost 1.6 metres long, but miniaturisation has enabled the research equipment of a full-sized satellite to be built into something the size of a loaf of bread,” said Professor Brooks. Working with McGill University in Canada and Exeter University in the UK, the university’s Adelaide Law School is drafting a manual on international law applicable to military uses of outer space. Law researchers Professor Melissa de Zwart and Professor Dale Stephens have also recently published a major study on uses of Woomera for non-military testing, addressing the complex regulatory regime that governs use of the Woomera Prohibited Area and adjacent zones.